Spanish Empire after the Peace of Paris (1783). The ideas of the Age of Enlightenment (in Spanish, Ilustración) came to Spain in the eighteenth century with the new Bourbon dynasty, following the death of the last Habsburg monarch, Charles II in 1700. "Like the Spanish Enlightenment, the Spanish Bourbon monarchs were imbued with Spain's Catholic identity." The period of reform and 'enlightened despotism' under the Bourbons focused on centralizing and modernizing the Spanish government, and improvement of infrastructure, beginning with the rule of King Charles III and the work of his minister, José Moñino, count of Floridablanca. In the political and economic sphere, the crown implemented a series of changes, collectively known as the Bourbon reforms, which were aimed at making the overseas empire more prosperous to the benefit of Spain. The Bourbon monarchs sought the expansion of scientific knowledge, which had been urged by Benedictine friar Benito Feijóo. From 1777 to 1816, the Spanish crown funded scientific expeditions to gather information about the potential botanical wealth of the empire. When Prussian scientist Alexander von Humboldt proposed a self-funded scientific expedition to Spanish America, the Spanish crown accorded him not only permission, but the instructions to crown officials to aid him. Spanish scholars sought to understand the decline of the Spanish empire from its earlier glory days, with the aim of reclaiming its former prestige. In Spanish America, the Enlightenment also had an impact in the intellectual and scientific sphere, with elite American-born Spanish men involved in these projects. The Napoleonic invasion of the Iberian peninsula was enormously destabilizing for Spain and the Spanish overseas empire. The ideas of the Hispanic Enlightenment have been seen as a major contributor to the Spanish American wars of independence, although the situation is more complex. The French Bourbons had a strong claim on the Spanish throne following the 1700 death of the last Hapsburg monarch, Charles II, who died without an heir. France won War of the Spanish Succession and the Bourbon monarchy was established in Spain. Once it consolidated rule in Spain, the Bourbon monarchs embarked upon a series of reforms to revitalize the Spanish empire, which had significantly declined in power in the late Hapsburg era. The ideas of the Age of Enlightenment had a strong impact in Spain and a ripple effect in Spanish American Enlightenment Spain's overseas empire. When French forces under Napoleon Bonaparte invaded the Iberian peninsula and place Napoleon's brother Joseph on the throne of Spain, there was a crisis of legitimacy in both Spain and its overseas empire. 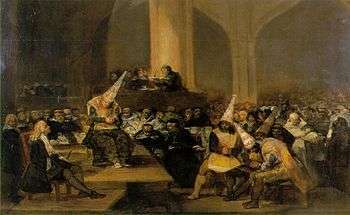 A cortes (parliament) was convened in Cádiz, which ratified a liberal constitution in 1812, limiting the power of the monarchy constitutionally as well as the power of the Catholic Church. 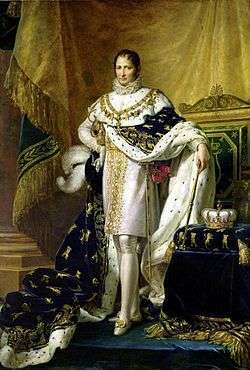 Ferdinand VII claimed he supported the liberal constitutions, but once restored to power in 1814, he renounced it and reverted to unfettered absolutist rule. In most parts of Spanish America during the Napoleonic period in Spain, wars of independence broke out, so that by the time Bourbon Ferdinand VII was restored to the throne in 1814, much of Spanish America had achieved independence and established constitutional republics. New Spain (Mexico) and Peru were the exceptions, becoming independent in 1821 (Mexico) and 1824 (Peru). Mexico briefly had a monarchy under royalist military officer turned insurgent Agustín de Iturbide, who was overthrown in favor of a federated republic under the Constitution of 1824. Charles II, who was the unfortunate result of generations of Hapsburg inbreeding, decreed in one of his last official acts that his crown would pass to his nephew, Philip of Anjou, the grandson of King Louis XIV of France of the House of Bourbon, and the heir to the French throne. Castilian legitimists, who valued the succession of the closest heir of the king over the continuation of Habsburg rule, supported the king's plan. Spanish officials were also concerned with Spain remaining an independent country, rather than another part of the French or Austrian empires. Even so, on hearing the news that his grandson had become King of Spain, Louis XIV proclaimed, "The Pyrenees are no more." At age 17, Philip V arrived in Madrid in early 1701 without visible opposition. Philip confirmed the fueros of Catalunya and Aragon, and to all appearances the Bourbon succession was successful and secure. The Austrian Hapsburg claimant to the Spanish throne, Archduke Charles of Austria, argued that he had been cheated out of the throne of Spain unfairly. England and the Netherlands, who had backed Duke Joseph Ferdinand of Bavaria as the successor to the Spanish throne as a means of preventing either Spain or France from becoming more powerful, accepted Philip of Anjou as king of Spain but eventually chose to support Austria after Louis XIV did not respect the fact that France was not to take too much advantage of a Bourbon on the Spanish throne. Austria, with the backing of England and the Netherlands, chose to go to war over the issue after France rejected a plan of partition, launching the War of the Spanish Succession. A compromise peace came with the Treaty of Utrecht in 1713 between France and most of the great powers. 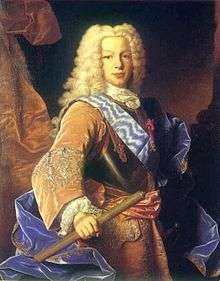 France and the Allies agreed that Louis XIV's grandson, Philip, would become King Philip V of Spain, but that the thrones of France and Spain were never to be united. While France's territories remained largely intact, Spain was forced to cede her European empire in the peace; her Italian possessions, including Naples, Milan, and Sardinia, were given up to Austria, along with Sicily, which was ceded to Savoy. Spain was also forced to give up the Spanish Netherlands to Austria, and the island of Minorca and Gibraltar to Britain. In later years, however, many of these Italian territories, notably Naples and Sicily would revert to Spanish control. In exchange for accepting the loss of these European territories of the Spanish Empire, Philip was able to keep the remainder of the Spanish empire. Even after the peace was signed, however, the Catalans - who had been operating independently against Philip during the war, operating under the banner "Privilegis o Mort" (Privileges or Death)  - continued to resist after the British withdrew; Barcelona was not retaken by Spanish forces until late in 1714. This date (September 11, 1714) is commemorated as the National Day of Catalonia. However, much of the country was in a state of economic instability due to the conflict, no matter which candidate to the Spanish throne was supported. 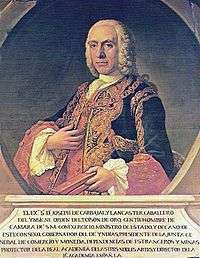 Philip V proved an effective administrator, centralizing the Spanish authority by eliminating regional cortes (parliaments) and beginning a process of making uniform the laws among the various regions of Spain's empire by eliminating special privileges (fueros). His selection of capable French and Italian ministers to key positions in the government reined in independent, isolated, and corrupt ministries that had flourished in the later period of Hapsburg rule. Philip aimed at expanding economic activity and moved toward economic freedom, especially regarding Spain's trade in its overseas empire, in theory a Spanish monopoly. Expanding Spanish manufactures and agricultural exports was envisioned, so that trade did not benefit foreign powers who had horned in on the Spanish American trade. The House of Trade long operating in Seville, was moved to Cádiz in 1717. Philip permitted the foundation of the Basque Caracas Company in 1728, on the model of Northern European trading companies, to trade with Venezuela, a major producer of chocolate. The free trade zone (comercio libre) within the Spanish sphere expanded further with later Spanish Bourbons. 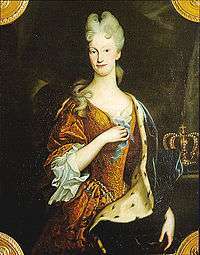 Philip - a manic depressant often dominated in his policies by his wife Elizabeth Farnese - adopted an aggressive foreign policy that invested Spain in a series of costly wars throughout his reign. The loss of so much of the European territory promised to him by Charles II's decree and Philip V's personal ambition put him at unease with the treaty. 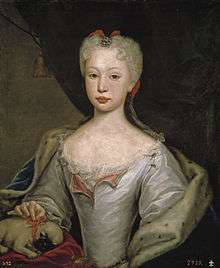 Philip's wife Elizabeth - a member of the ducal house of Parma - and her favorite minister, Cardinal Giulio Alberoni, desired to have their claims in Italy and those of Philip's restored. But an alliance of France, Britain, and the Netherlands challenged Spain's ambitions which threatened the peace of Europe. In 1717, Philip invaded Sardinia, one of the territories lost to Austria after the War of the Spanish Succession. The invasion of Sicily thereafter prompted the formation of the Quadruple Alliance of Britain, France, Austria, and the Netherlands to oppose Philip's ambitions. In 1720, embarrassed by the failure of Spanish arms at sea and on land in the War of the Quadruple Alliance, Philip dismissed Alberoni and signed a peace treaty with Austria, with both sides recognizing the Treaty of Utrecht. The Spanish again attempted to regain some of their lost territory in the Anglo-Spanish War of 1727-1729. An alliance was concluded in 1725 with the Austrians, who agreed to help the Spanish in retaking key naval bases in the Mediterranean - Minorca and Gibraltar - from the British. A scandal at court, resulting from a conspiracy between Carvajal and the British ambassador, led to the embarrassment of Ensenada and his disrepute at court. 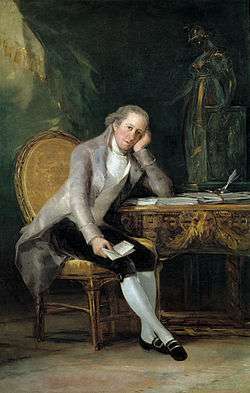 When Carvajal died in 1754, Philip and his wife dismissed Ensenada, fearing that the Marquis's French sympathies would lead to an alliance with Louis XV of France and war, without Carvajal's British sympathies to counterbalance him. An Irishman, Ricardo Wall, was appointed to replace Ensenada as chief minister. Wall, a staunch defender of Spain's neutral policy, successfully kept the country out of war for the remainder of Ferdinand's reign, in spite of the outbreak of the largest European war since the Thirty Years' War, the Seven Years' War. Although his wife had always feared that Ferdinand would die before her and leave her destitute - she had amassed huge personal wealth as a safeguard against this - it was his wife Maria Barbara who would precede him, dying in 1758. Deeply distraught by her death, Ferdinand became apathetic to his duties as king, and indeed, suicidal. He died a year later, in 1759. Although the Seven Years' War had broken out in 1756, Spain had managed to remain strictly neutral under the ministry of Ricardo Wall, who continued to lead Spain's government in the early years of Charles III. Charles, however, bore a grudge against the English and as the war became increasingly desperate for France, he went against his chief minister's wishes and intervened on France's behalf in 1762. Spain fared poorly in the war, and the British occupied Havana and Manila within a year. Florida was ceded to the British and Spain recognized British control over Minorca and Gibraltar in 1763, although Louisiana was given to Spain to compensate her for her losses. After the Treaty of Paris (1763), however, Spain could focus on internal development. 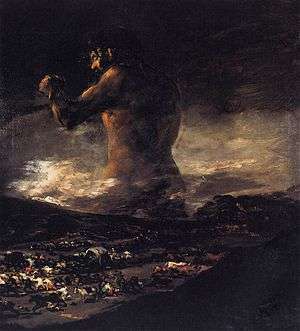 "Esquilache Riots (1766)", by Francisco Goya. The liberalization of the grain trade by Italian-born Esquilache caused a sharp rise in grain prices, and in turn, riots. Aranda, as the leader of the Aragonese faction at court, favored a more decentralized system of government. Following the ouster of Esquilache for a time Aranda was the leading figure in Spanish politics. A criminal prosecutor named José Moñino gained prominence as the investigator of the riots and as an outspoken supporter of the king's reformist policies. The riots were attributed to the Jesuits, who were advocates of papal power, when Bourbons were centralizing regal power. 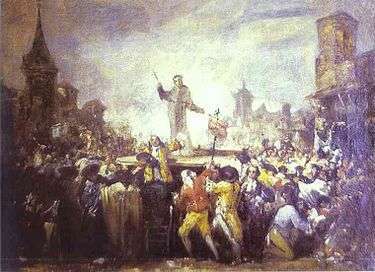 The role of the Jesuits in the riots was named as the reason to oust the Jesuits from Spain and its empire in 1767. 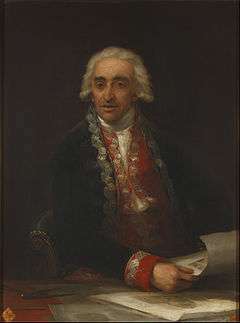 Esquilache had arranged to have him made ambassador to Rome in 1767; in 1773 Moñino succeeded in having the Pope revoke the papal charter of the Jesuit Order. 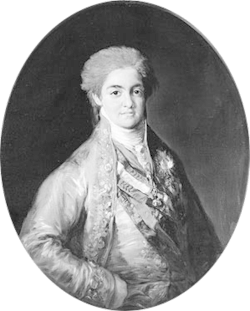 For this success, Charles named Moñino the Count of Floridablanca. 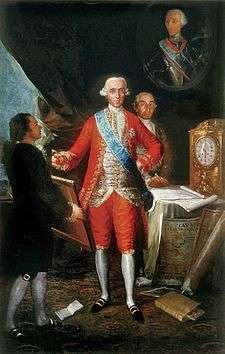 Although Floridablanca - like Carvajal before him - admired British governance and believed that a cordial relationship with George III of the United Kingdom was the best policy for Spain, the American Revolutionary War was too great an opportunity for King Charles, and Spain went to war against Britain alongside France and the Netherlands in 1779, after providing monetary assistance to the rebels. 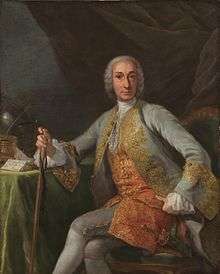 Bernardo de Gálvez, the governor of Spanish Louisiana, led the campaign to retake the forts lost to the British since 1762; Pensacola, Florida was retaken in 1782, and the Bahamas were seized later that year. The Treaty of Paris (1783) restored much of what Spain had lost in the Seven Years' War, including Florida. 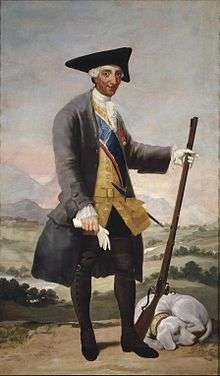 Godoy, having abandoned his allies in the United Kingdom and Austria, faced a decision: whether to continue to fight the Revolutionary France that had already defeated Spain once before, or to join the French side and hope for better times. The Spanish, after initially opposing the French, signed the Treaty of San Ildefonso in 1796, allying Spain to France, in exchange for French support for Charles IV's relations ruling the Italian duchy of Parma. In response, the British blockaded Spain in 1797 and separated her colonial empire from the mother country. By the end of 1798, the Spanish fleet had been defeated by the British, and Minorca and Trinidad were occupied. In 1800, the Spanish returned Louisiana to France, which had been given to them in compensation for their losses at the end of the Seven Years' War. The Portuguese, who opposed the French, continued to trade with the British in spite of a series of French demands that they close their ports to British ships. 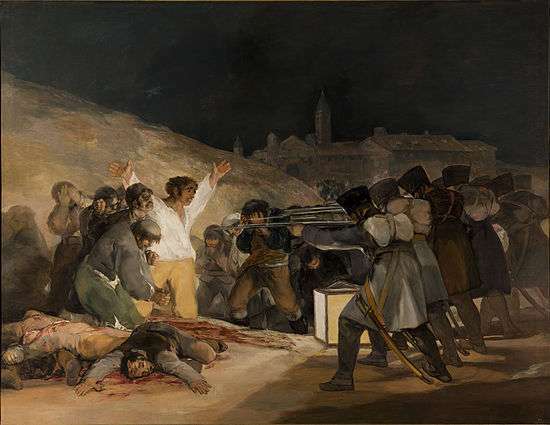 In 1801, the Spanish delivered an ultimatum on behalf of France, and in the following border war, occupied the town of Olivenza (Olivença) before the Portuguese agreed to the Spanish and French demands. The town - which is disputed to the present day - continues to be administered by Spain though Portugal contends that the Congress of Vienna restored it to Portugal. After Trafalgar, Godoy withdrew from the Continental System that Napoleon had devised to combat Britain, only to join it again in 1807 after Napoleon had defeated the Prussians. 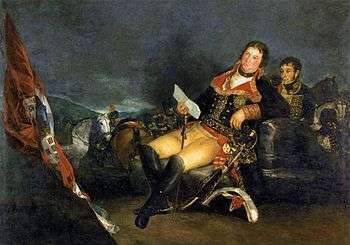 Napoleon, however, had lost his faith in Godoy and King Charles; there was also growing support in Spain for the king's son, Ferdinand, who opposed the popularly despised Godoy. 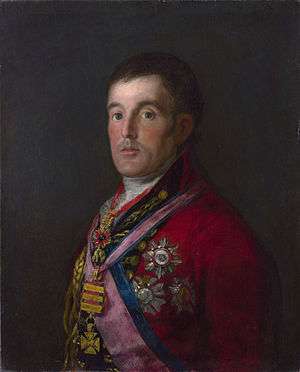 Ferdinand, however, favored an alliance with Britain, and Napoleon, slways suspicious of the Bourbons, doubted the trustworthiness of any Spanish royalty. King Joseph had attempted to reconcile with the Spanish early on; at Bayonne, after the forced abdication of Ferdinand, Joseph gathered an assembly of Spanish notables to draft a constitution for his new Bonapartist regime in Spain. The most prominent members in Spanish politics - including the Count of Floridablanca - declined to attend. The cabinet and constitution that Joseph did present was viewed as illegitimate. Joseph entered Madrid on 25 July 1808, after the rebellion against his government was already well under way. Many Spanish liberals - carrying the tradition of Charles III and his ministers - saw in a close relationship with France the hope for modernity and progress in their country. Called "afrancesados," they viewed the end of the Inquisition and the establishment of a more secular, liberal monarchy with affection, but as the French occupation dragged on, popularity for French rule even among liberals waned. By 1812, many of these afrancesados had become members of the Spanish guerilla war. The Spanish Constitution of 1812 (the Cadiz Constitution) was drafted by the Supreme Junta. The constitution, written by an assembly dominated by liberal reformers, described a constitutional monarchy. The inquisition would be abolished, though Roman Catholicism was still the state religion and heresy a crime. 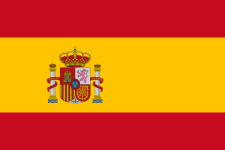 The constitution - Spain's first - provided for freedom of speech, freedom of association, and universal manhood suffrage. In response to the constitution, France temporarily annexed Catalonia. 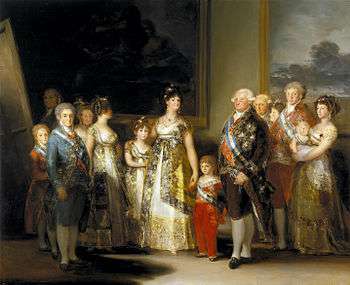 The ideas of the Enlightenment in France came to Spain following the establishment of the Bourbon dynasty in Spain. The leading Spanish figure was Benito Feijóo (1676-1764) a Benedictine monk and professor. He was a successful popularizer noted for encouraging scientific and empirical thought in an effort to debunk myths and superstition. His Teatro crítico universal (1726-39) bemoaned that "physics, and mathematics are almost foreigners in Spain." The crown sponsored a series of scientific expeditions of its own and authorized foreign scientists, such as La Condamine and Alexander von Humboldt, to its overseas empire, usually closed to foreigners. There were extended Royal Botanical Expeditions to Chile and Peru (1777-88), New Granada (1783-1816), and New Spain (1787-1803), which produced a huge number of detailed botanical drawings and specimens destined for the Royal Botanical Garden and the Royal Natural History Cabinet in Madrid. 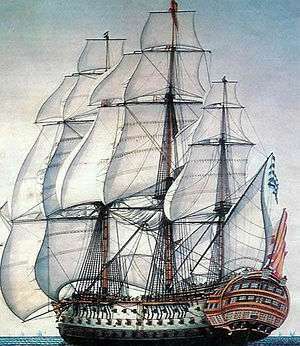 The Malaspina Expedition was an important scientific expedition headed by Spanish naval commander Alejandro Malaspina over five years (1789-94), with naturalists and botanical illustrators gathering information for the Spanish crown. The illustrators on the voyage included José de Pozo, trained at the Royal Academy of Fine Arts in Madrid, and, with other artists on the voyage, produced a plethora of botanical images as well as coastal views, ethnographic images, views of the expedition's ships, Descubierta and Atrevida, and a self-portrait in Patagonia. In Mexico, the Malaspina Expedition helped spur the founding of a botantical garden in Mexico City, as well as the Museo de Historia Natural. ↑ Richard Herr, "Flow and Ebb, 1700-1833" in Spain, A History, Raymond Carr, ed. Oxford: Oxford University Press 2000, p. 175. ↑ Daniela Bleichmar, Visible Empire: Botanical Expeditions & Visual Culture in the Hispanic Enlightenment. Chicago: University of Chicago Press 2012. ↑ John Tate Lanning. The Eighteenth-Century Enlightenment in the University of San Carlos de Guatemala. Ithaca: Cornell University Press 1958. ↑ Charles Griffin. “The Enlightenment and Latin American Independence” in Latin America and the Enlightenment (2nd edition). New York 1961. ↑ John Lynch, Bourbon Spain, 1700-1808. Oxford: Blackwell Publishers 1989, p. 22. ↑ "Spain - War of the Spanish Succession". Retrieved 11 February 2012. ↑ Lynch, Bourbon Spain p. 22. ↑ Herr, "Flow and Ebb" p. 184. ↑ Richard Herr, Spain, Englewood Cliffs, NJ: Prentice-Hall Inc., 1971, p. 51. ↑ Her, Spain, p. 59. ↑ Carlos Marichal, "Banco de San Carlos (Spain)" in Encyclopedia of Latin American History and Culture, New York: Charles Scribner's Sons, 1996, vol. 1, p. 278. ↑ Earl Hamilton, "Plans for a National Bank in Spain, 1701-1783" in Journal of Political Economy, 58, no. 3 (1949): 315-336. ↑ Feijoo quoted in David Brading, The First America: The Spanish Monarchy, Creole Patriots, and the Liberal State, 1492-1867. New York: Cambridge University Press 1991, p. 423. ↑ John Lynch, Bourbon Spain, 1700-1808. Oxford: Basil Blackwell 1989, p. 254. ↑ Lynch, Bourbon Spain p. 256. ↑ David Brading, The First America: The Spanish Monarchy, Creole Patriots, and the Liberal State. New York: Cambridge University Press 1991, pp. 507-11. ↑ John Lynch, Bourbon Spain, p. 256 citing Jean Sarrailh, L'Espagne éclairée de la seconde moitiéée du XVIIIe siècle pp, 269-70. ↑ Lynch, Bourbon Spain, p. 256-57. ↑ Jonathan Israel (2011). Democratic Enlightenment:Philosophy, Revolution, and Human Rights 1750-1790. Oxford University Press. p. 374. ↑ Daniela Bleichmar, Visible Empire: Botanical Expeditions and Visual Culture in the Hispanic Enlightenment. Chicago: University of Chicago Press 2012, p.4. ↑ Bleichmar, Visible Empire, pp. 16-18. ↑ La expedición Malaspina 1789-1794. 9 vols. Madrid: Lunwerg Editores 1987-96. ↑ Andrés Galera Gómez, La ilustración española y el conocimiento del nuevo mundo. La ciencias naturales en la expedición Malaspina (1789-1994): La labor científica de Antonio Pineda. Madrid: CSIC 1988. ↑ Dolores Higueras Rodríguez (ed.) La Botánica en la Expedición Malaspina 1789-1794. Madrid: Turner Libros 1989. ↑ Juan Pimentel, La física de la monarquía. Ciencia y política en el pensamiento colonial de Alejandro Malaspina (1754-1810). Madrid: Doce Calles 1998. ↑ María Pilar de San Pío Aladrén and María Dolores Higueras Rodríguez (eds.) La armonía natural. La naturaleza en la expedición marítima de Malaspina y Bustamante (1789-1794. Madrid: Lunverg Editores 2001. ↑ Bleichmar, Visible Empire, p. 17. ↑ Carmen Sotos Serrano, Los pintores de la expedición de Alejandro Malaspina. Madrid: Real Academia de Historia 1982. ↑ Enrique Florescano, "The Creation of the Museo Nacional de Antropología and its scientific, educational, and political purposes" in Nationalism: Critical concepts in Political Science, John Hutchinson and Anthony D. Smith, eds. Vol. IV. London: Routledge 2000, p. 1238. ↑ Miguel Angel Fernández, Historia de los Museos de México. Mexico: Fomento Cultural del Banco de México 1987. ↑ Carmen Añon Feliú, Real Jardín Botánico de Madrid, sus orígenes 1755-1781. Madrid: Real Jardín Botánico 1987. ↑ David Brading, Miners and Merchants in Bourbon Mexico, 1763-1810. New York: Cambridge University Press 1971, p. 165. ↑ Brading, The First America, p. 510. ↑ Jorge Cañizares-Esguerra, How to Write the History of the New World. Stanford: Stanford University Press 2001, 170. La Force, James C. Jr. The Development of the Spanish Textile Industry, 1750-1800. Berkeley and Los Angeles: University of California Press 1965. Noel, C.C. "Opposition to Enlightened Reform in Spain: Campomanes and the Clergy, 1765-1775." Societas 3, 1 (1973) pp. 21-43. Shafer, R.J. The Economic Societies in the Spanish World, 1763-1821. Syracuse 1958.